Simple yet sensual, comforting yet captivating. A spellbinding fragrance evoking the same elegance as a Giorgio Armani red-carpet dress. 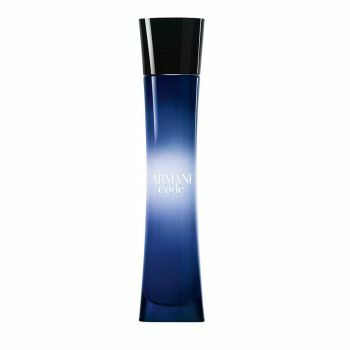 Armani Code is the signature fragrance for women by Giorgio Armani. Orange Blossom is the Muse of this creation: a miracle of the nature, the quintessence of femininity. A unique creation reveals this flower's full magic and operates its metamorphosis by the incredibly soft embrace of Madagascar vanilla and a touch of honey. Sambac jasmine, from India, amplifies the radiance and elegance of this celebration of noble essences.